Tallies have been tallied, and tables have been tabulated. As in the last report, the method here uses Alexa rankings whenever they are available. For some sites (i.e., Patheos and Livejournal), where Alexa doesn’t have separate data on each blog, the position has been reckoned by hand. 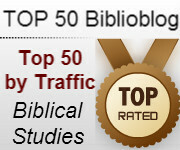 Some of the rising stars of the “biblioblogosphere” include The Bart Ehrman Blog (up 19 places), BiblicalStudies.org.uk (previously unranked), Sansblogue (up 19 places), Psephizo (up 17 places), Vridar (up 13 places), Jennifer Guo (previously unranked), Bible Background (up 94 places), Evangelical Textual Criticism (up 19 places), Remnant of Giants (up 16 places), Brice C. Jones (up 45 places), Κέλσος (up 44 places), Pursuing Veritas (previously unranked), and Alin Suciu (up 45 places). See anything you like? Add it to your regular reading! Many thanks for including my blog. Can you update it next time to show its new location please? Could you please correct your tracking with respect to my blog? I’m #27 on a site that I haven’t used for three years.